What Can Shottenkirk Ford Jasper Help You With Today? Need a little guidance when it comes to figuring out how best to take care of your automotive needs? Then it is time to plan a visit with the team of Ford professionals awaiting you at Shottenkirk Ford Jasper. Whether we are helping you learn more about the great new Ford cars found at our convenient Canton & Woodstock location or helping you create a connection to the largest selection of parts and maintenance, we have no doubts that the outstanding group of Ford experts at Shottenkirk Ford Jasper have the ability to help you come to the best conclusion possible for your automotive needs. Ready to learn about which team has what you are looking for in your next trip to Shottenkirk Ford Jasper? Then make it a point to join us as we point you in the right direction and help you connect with the right team of trustworthy Shottenkirk Ford Jasper experts. In terms of new and pre-owned car sales, no one beats the Shottenkirk Ford Jasper team in Canton & Woodstock. From bringing you up to speed with all of the latest offerings from Ford to putting you on track for the right pre-owned car (including Certified Pre-Owned Fords and selections from other brands) that caters to your specific situation and financial concerns, we can provide you with the insight you need to make a smart and well-reasoned decision. The best thing about getting in touch with our sales group? We make it a point to embody a hassle-free dealership experience that never seeks to push you into a purchase. Only when you are ready to press ahead will we give you the assistance necessary for you to move closer to the new vehicle that is right for you. Whether it is time to get an oil change or you could use a little help getting your vehicle back in shape after an unexpected breakdown, Shottenkirk Ford Jasper wants to offer up this guarantee: We are the top provider of service that is expedient, budget-friendly, and always conducted by licensed Ford mechanics. Do you have a vehicle that is from a different manufacturer? Then that is never an issue. The friendly staff of vehicle restoration professionals here at Shottenkirk Ford Jasper are dedicated and prepped to handle your service needs – regardless of the make and model of your vehicle. For those of you who are looking to tackle a repair by yourself, you will be happy to know that our expert team of parts professionals can help you find the part you need in no time. 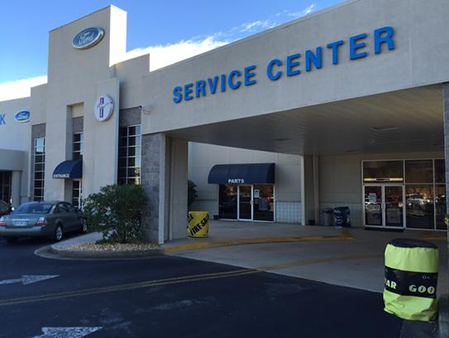 From original equipment manufacturer (OEM) Ford replacement parts to an amazing selection of other items that can help you tackle the service or repair needed on virtually any automobile imaginable, we have no doubts that the part you need is waiting for you right now in our parts department. That being said, we provide you with so much more at Shottenkirk Ford Jasper than simply access to the biggest selection of Ford OEM parts in Canton & Woodstock. By stopping in at Shottenkirk Ford Jasper, you will also get to take advantage of the best prices in town, and a steadfast commitment to welcoming and no-hassle service. Did we miss something? Then let us know! Shottenkirk Ford Jasper is dead set on enriching your dealership experience, so take some time to shoot over your questions and comments our way when it works for you. We will be on hand to offer up as much expert insight as possible as we assist you in handling whatever concern that is currently on your plate. Now that you are up to speed on the most effective ways to connect with the Shottenkirk Ford Jasper team, as well as what each of our departments can offer to valued customers such as yourself, you only need to do one more thing: Give us a call! We are excited to get in touch with you soon and ensure that any time spent at Shottenkirk Ford Jasper is the best it can possibly be.